The little sister to booming Germantown, Salemtown is almost indistinguishable both it’s historic roots and its thriving growth but this trendy neighborhood offers a flair all its own. Situated just north of downtown, inside Nashville’s urban core, sidewalked Salemtown offers homeowners unbeatable walkability with its share of delightful restaurants and Nashville’s hot spots within just a few minutes stroll. The little sister to booming Germantown, Salemtown is almost indistinguishable both it’s historic roots and its thriving growth but this trendy neighborhood offers a flair all its own. Situated just north of downtown, inside Nashville’s urban core, sidewalked Salemtown offers homeowners unbeatable walkability with its share of delightful restaurants and Nashville’s hot spots within just a few minutes stroll. Downtown is just a mile away and Germantown’s share of nationally recognized dining options are sure to please your tastebuds. 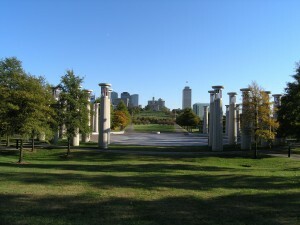 Also within walking distance are the much-loved Nashville farmer’s market and up-and-coming Hope Gardens. The active neighborhood association also puts on a number of events within the neighborhood borders. Homes here range from detailed Victorians and historic cottages to townhomes and newer construction craftsmen styles, but all styles will go fast in this competitive market.